Experience invigorating freshness with the deep cleaning power of Alkacare® Natural Clear. Along with brushing, flossing and regular dental check-ups, AlkaCare® Natural Clear works to fight acidity and restore the mouth's pH balance, helping combat bad breath. AlkaCare® Natural Clear's antiseptic properties helps soothe sore gums and make it perfect as a gargle to relieve a sore throat. Add this refreshing alkalizing mouthwash to your dental routine and experience fresh breath that lasts. 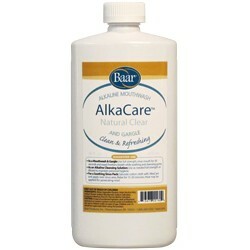 AlkaCare® Natural Clear is the most versatile formula available. 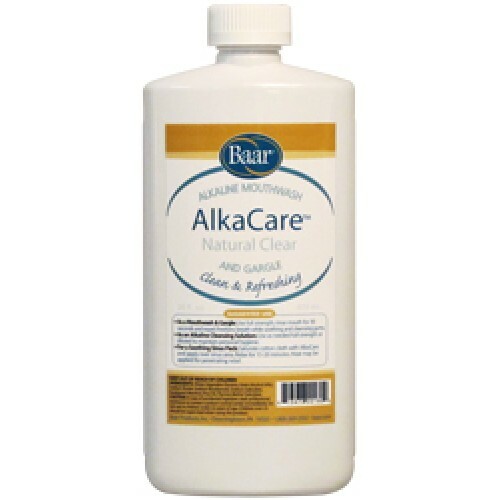 Predominantly used as a mouthwash, AlkaCare® Natural Clear carefully exacted formula is great for so much more! AlkaCare® Natural Clear may be used for nasal and sinus pack, as a personal cleansing solution or a soothing pack for sinuses, liver and kidneys.